The Education Edition of AceReader is our flagship product, developed exclusively for schools. This version has been designed around the needs of schools, teachers and students to deliver a classroom level application that integrates well with existing reading classes, or can be used as a teaching supplement. 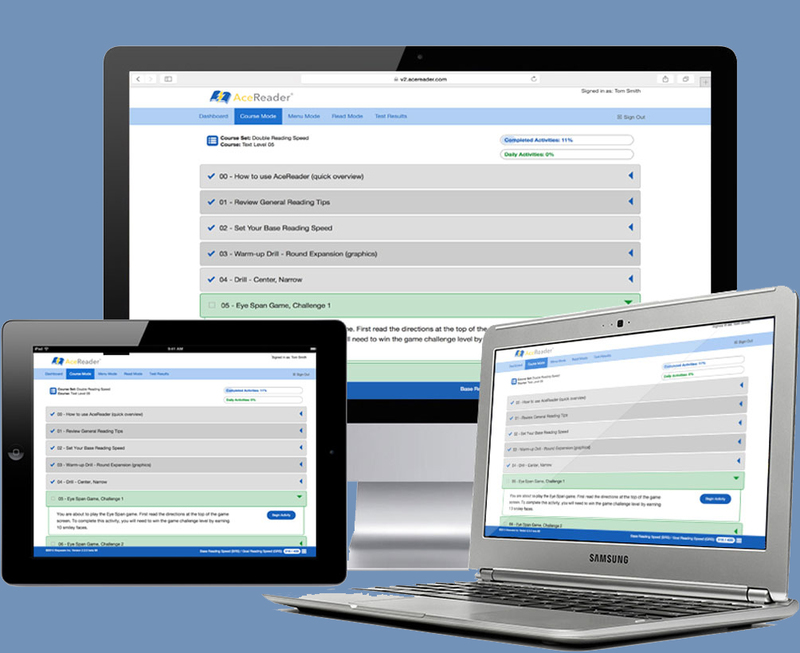 The Family Edition of AceReader is a streamlined version of the Education Edition, which includes a parent account for managing and monitoring two to eight student accounts, enough for the whole family. This version is ideal for homeschoolers. The Personal Edition of AceReader is our single user version of the program. If you want to use the program for yourself or if only one child will be using the program, then this is the version designed for you. No setup required. Just logon and start using the program. Families and individuals are learning how to be more efficient readers using the same software trusted by schools. 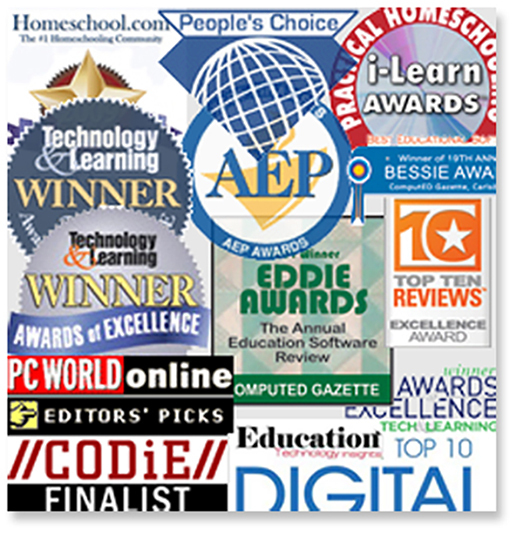 As of 2019, AceReader has been the recipient of over 50 awards and honors in the education space. Technology & Learning Magazine named AceReader its "Top Winner" and the best of 55 curriculum products in the 24th annual Awards of Excellence. Other honors included winning 5 BESSIE Awards and 3 EDDIE Awards in the category of best reading software. AceReader is trusted and used by K-12 schools, universities, home schools and individuals world-wide. Our school customers include the US Air Force Academy, US Naval Academy, West Point, California State University, Lewisville ISD... just to name a few. Having researched current reading programs and having used the AceReader for several years, I can honestly say this is a quality product that not only improves a student’s reading rate but more importantly his or her comprehension. Students love to play the games; the fact that they are retraining their eyes and brains to see and read faster is secondary. They also enjoy the wide variety of stories and often remark on how much knowledge they have gained. This is the learning tool every teacher hopes to find—one that is both fun and educational. Carolyn L. Davidson, Reading instructor for 20 years, Butte Community College, Paradise, CA, USA.